With fantastic accommodation, great fishing spots and plenty of activities for the kids, the Park provides the perfect setting for a relaxing family holiday. 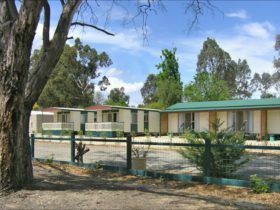 Located only an hour and a half from Melbourne, situated six kilometres from Alexandra township right on the Goulburn River. Breakaway Twin Rivers is a No Pet Park. 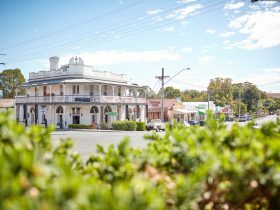 There are some truly great local attractions nearby to fill your holiday with fun. Experience this deluxe cabin accommodation that is large enough for your entire family. The two bedrooms allow privacy for yourself and the kids. 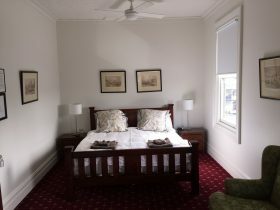 The main bedroom has a queen bed and the large veranda for you to sit and relax on the banks of the Goulburn. 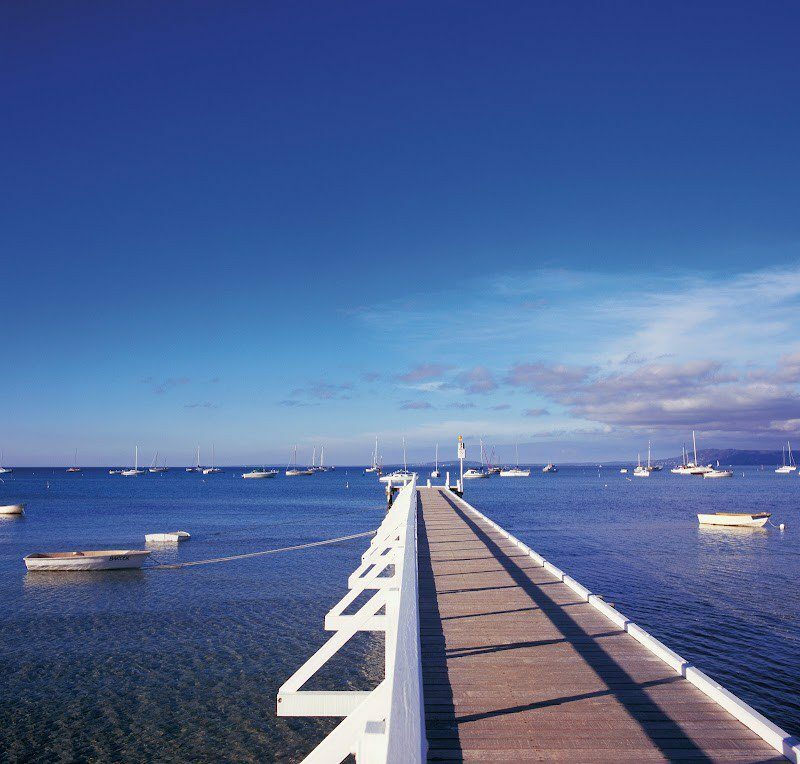 These units are a treat so spoil yourself and book one for your next family holiday. 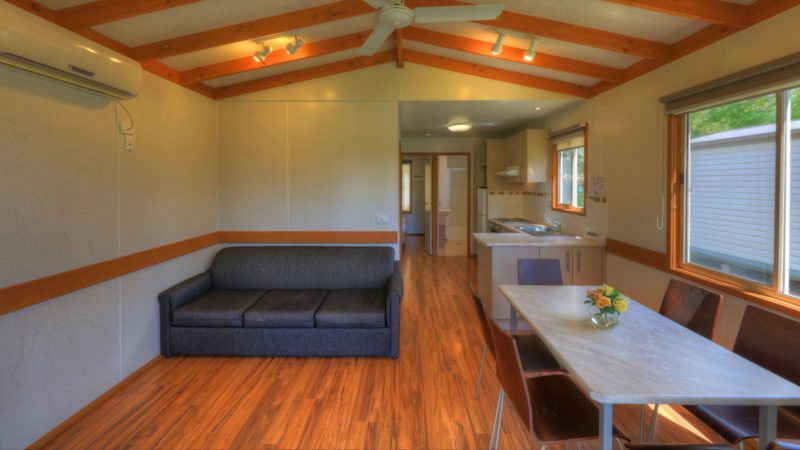 This standard cabin with Ensuite is a great budget option for your family holiday. 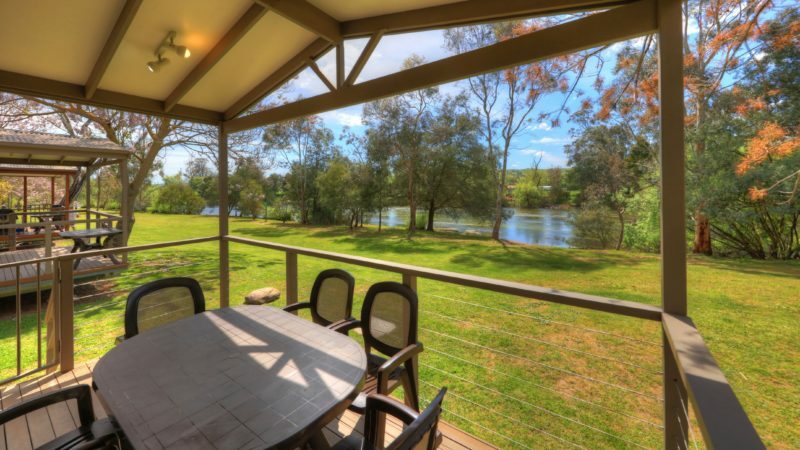 You will feel right at home as you experience the countryside during the day and relax at night with a great view of the Goulburn River. 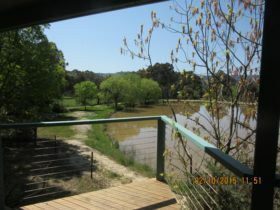 This lovely self-contained studio is elevated and has views of the Goulburn River, perfect for singles or couples. You are sure to enjoy this great cabin. 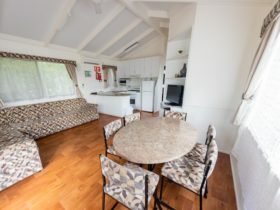 This cabin is not suitable for anyone with a disability or a family with small children due to the elevation of the accommodation. Powered grassed sites have water and power supplied. There are a few with complete water frontage. All of the sites offer a great position and a relaxing time. 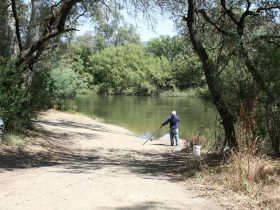 The majority of unpowered grassed sites have full river frontage so you can fish from your camp chair or just relax and take in the views.